My Friday Night Feature is going on a week long vacation! Mostly because I procrastinated and didn't plan ahead this week and because it's Halloween. I know a lot of folks will be out tonight. So, we're taking a mini vacation and will return next Friday Night!! Helpful! Well, sometimes, and certainly in this case. 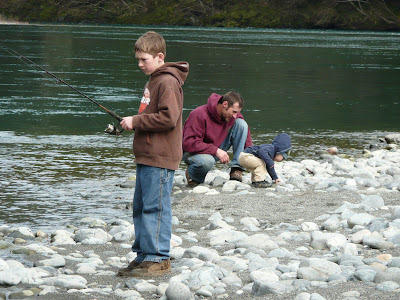 Since I had already broken the "rule" of Wordless Wednesday I figured I'd go ahead and post this too. I need your opinion. So all of you who just normally read my blog but never speak up, now's the time to do it! 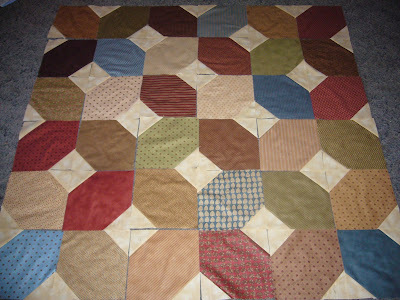 I'm putting together a new quilt and can't decided how I want to lay the blocks. I really like both of my options and am having trouble choosing. So, I'm soliciting your opinion on it. Will it be, Layout #1? You can let me know your choice by posting a comment! Thanks for helping! 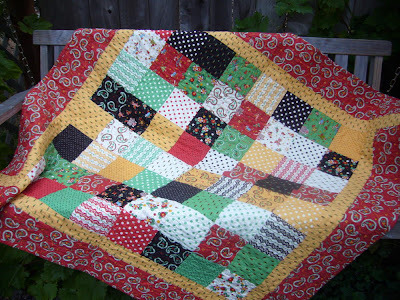 Our Quiltsy team has been featured in an article on Etsy's Storque in the Etsy Finds! It will only be up today, since it changes daily. If you get a chance, check it out! 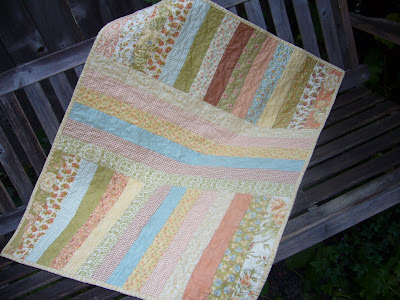 A fabulous baby quilt made from the Dandelion Girl fabric collection from Moda! I had so much fun with this promotion that I think I'll be doing another one in the months to come. Follow along with my blog to keep up to date with when it will happen! 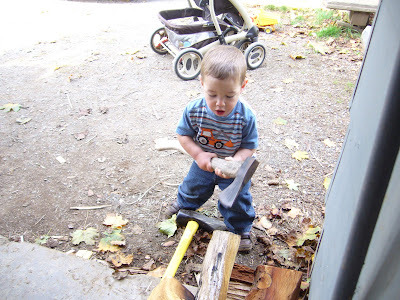 I haven't blogged in a few days for a few reasons. First, I was sick with the flu on Sunday. Ugh, I felt sooo bad. Monday morning I did end up feeling better though, thank the Lord! 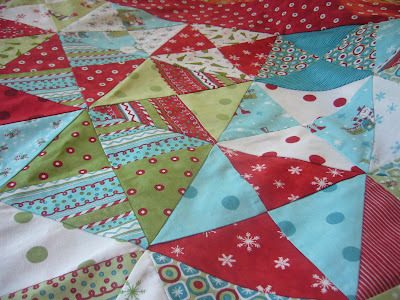 Second, I've been working away at quilting. I finished a table runner on Saturday and listed it that afternoon. Just hours later it SOLD! How cool is that? I also just finished my Isn't Christmas Jolly? 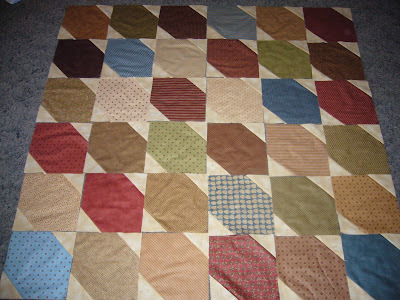 Quilt on Monday, listed it, and it sold that night! Mary Engelbreit sure has something going with her fabric because I've never had anything in my quilt shop sell that quick! I also am working on a custom order for someone on Etsy. Last weekend was also the last two days of deer season so Gavin went hunting both Saturday and Sunday. Unfortunately he was only able to go around here and didn't have any luck. Wyatt is back to school after having last week off so we're getting back into the swing of things there. Timber is almost crawling! She can get up on her hands and knees and crawl about 12" before she flops down. She is also getting her two upper front teeth. Wow, she's getting big fast!! No, no, no. Not me!! Oh my gosh, wouldn't that be scary right now? A 22mo old, a 7 mo old, and one on the way? I think not. 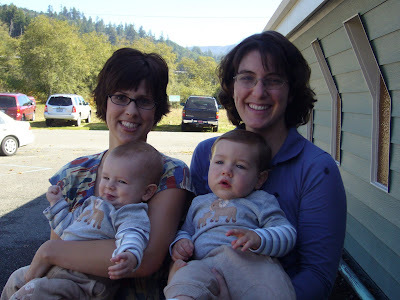 Here's a picture of Stephanie and I with our little boys last October. Layton and Dillon are 2 months apart. Yes, they are wearing the same outfit in this picture! We're just dorky moms that plan that sort of thing! Again, CONGRATS big time to Stephanie and her family! Love you Steph! Welcome to my Friday Night Feature, week #3!! Tonight we're going primitive! 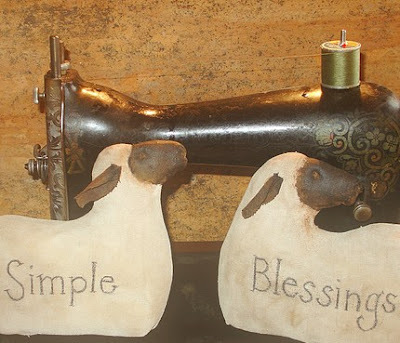 I love all things primitive and Etsy has a great selection of shops crafting primitive things! Our first shop tonight is Kittredge Mercantile. Kathy has some of the neatest things in her shop, from dolls, to things vintage and americana, even holiday items! "HAPPY FALL TO ONE AND ALL! WELCOME! To ~ KITTREDGE MERCANTILE ~ My name is Kathy and this is my etsy shop. I sell OLD, NEW and HANDMADE items. 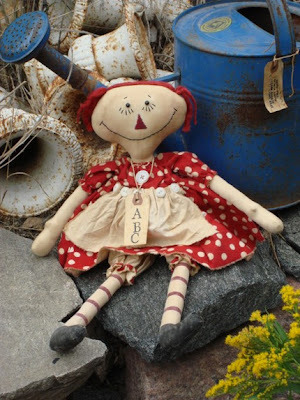 A general line of antiques, repurposed items, street finds and one of a kind. I'm always trying to make something from nothing. 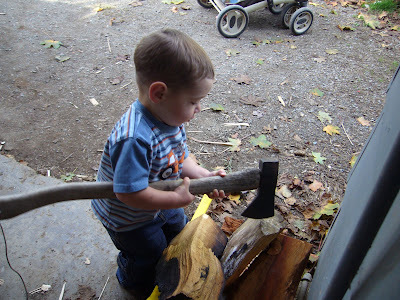 I specialize in handmade primitives. Such as cloth dolls, americana, seasonal, bears and more. I love Americana and I'll paint a flag on anything from baby shoes to baseballs. Take a look around and enjoy your visit. If you have any questions/comments/concerns please feel free to contact me. I'd love to hear from you. 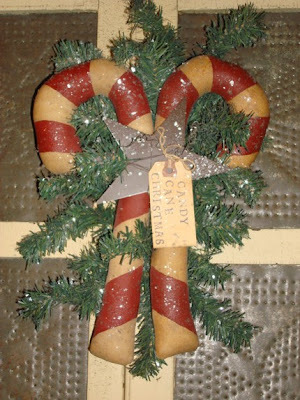 If you would like to see what I'm making, painting, sanding, or stuffing next visit my blog at http://kittredgemercantile.blogspot.com/ "
This little hanger below would be perfect in your home this holiday! 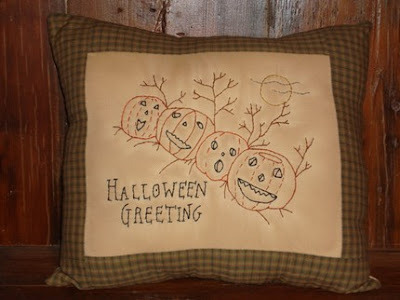 Please take the time to check out the rest of items that Kathy has listed in her shop, find some great items to decorate your home with and some terrific Christmas gifts to give - you'll be glad you did! Our second shop tonight is The Good Wife of Washington County . Now, this is THE primitive shop for all you crafters! Stacey has a bunch of outstanding patterns in her store that allow you to create all kinds of accents for your home. Here's a snippet from Stacey's shop announcement, "Welcome to my little shop here on Etsy, I hope you enjoy. 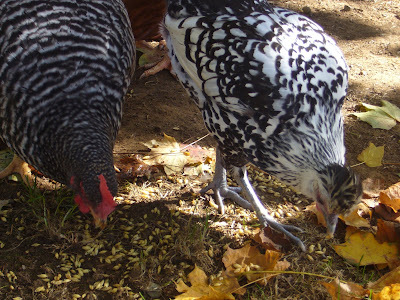 Right now I am offering patterns from my pattern line, Raven's Haven. I will be offering finished items, later as well. All of the designs are my own original artwork from my 32 years of experience in the art field. Raven's Haven is well into it's 5th year of patterns and 11th year of Primitive design. Originally my patterns were sold under, "The Good Wives of Washington County", where my original Raven made the front cover of Country Marketplace Magazine.It has been a remarkable and humble journey. 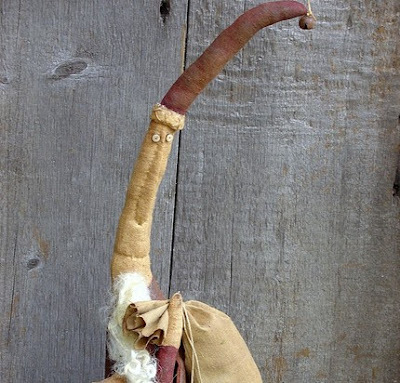 I'm enjoying my own little space here at Etsy where Whimsy and Primitives meet. I hope to inspire you to create!" 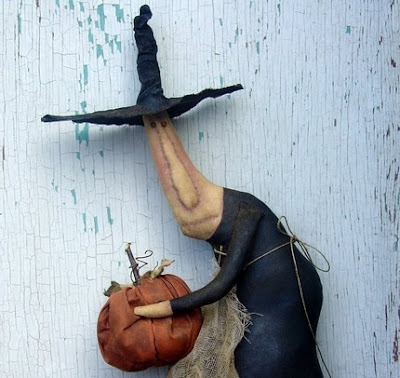 You can follow along with Stacey's blog at http://www.blogger.com/www.staceymead.blogspot.com I love this witch pictured below- perfect for Halloween! The photos here are just a small sample of all the patterns Stacey has in her shop. Make sure you stop by there as well to check them all out! That's it for tonight folks! Thanks for joining me! See ya next Friday night- same place, same time! 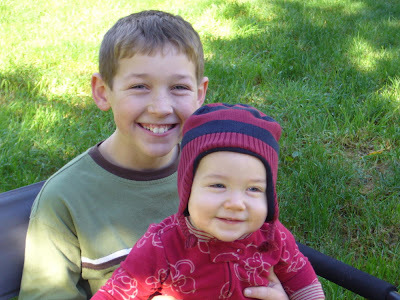 HAPPY BIRTHDAY TO WYATT WHO TURNS 11 TODAY!!! Holy cow! 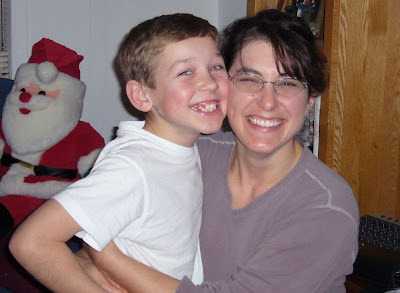 I can't believe I'm the mom of an 11 year old! Time is flying by so quickly. 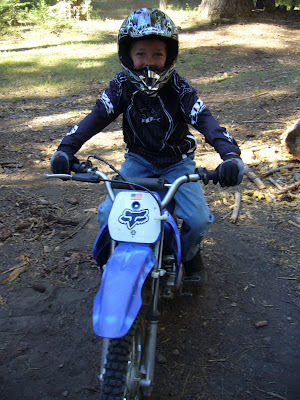 Before I know it he'll be in high school with a drivers license! What a blessing he is! He and Gavin got home last night from hunting and Layton was SO excited to see Wyatt. He wouldn't leave his side all night. 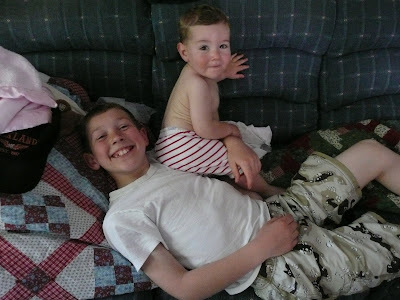 He so adores his big brother. 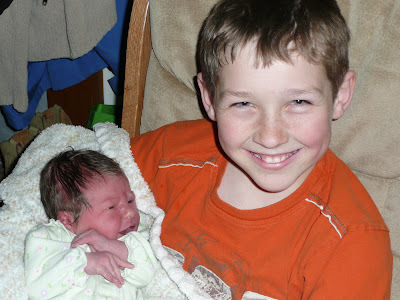 And Wyatt is a fantastic big brother to him and to Timber. 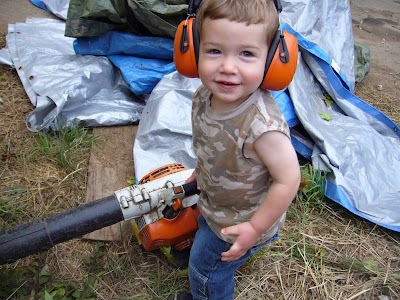 He is so helpful around the house and on the property. He has such a sweet heart and is always thinking of others. I am so proud to have him as a son! Here are a few (o.k., a lot!) pictures from over the past few years! 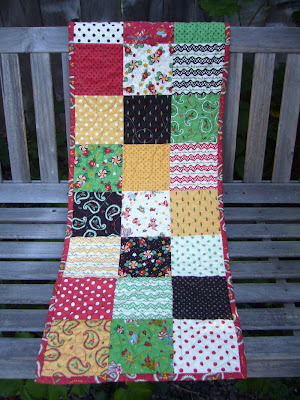 One of the ladies from my Quiltsy team, Nancy, has a quilt listed in her shop that is so adorable! 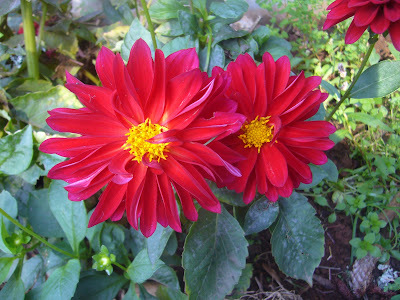 It was my inspiration for this treasury! I hope that you enjoy it! "A gun rack? A gun rack. I do not own a gun, let alone many guns that would necessitate an entire rack! What am I going to go with a gun rack?" Just for fun, can ya name it? So here's the low down on what's new and up and coming in my shop! First: This November 5th marks my 30th birthday! The big 3-0! To celebrate I’m going to be offering 2 things; the first is FREE SHIPPING on all orders placed by the end of November. The second, a fantastic gift to the customer that makes my 30th sale! That’s only 5 purchases away! There is one catch; the 30th sale MUST be made by November 30th, 2008. Boy, there are a lot of 30’s here! :) Happy Shopping- and winning!!! 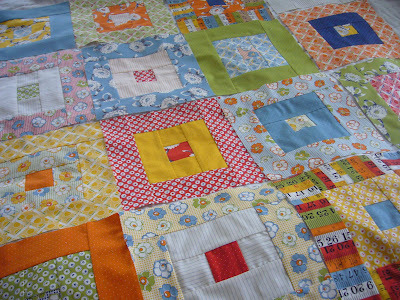 Second: Here's a quick preview of a quilt, Hopscotch at Recess, that will soon be listed for sale in my shop! It is so stinkin' cute! Well, Layton woke up with a fever this morning. And then about 20 minutes after waking up, he threw up. Not good. Gavin just left for hunting and now I have a sick baby boy! Please pray that he doesn't give it to Timber...at least until Gavin gets home! 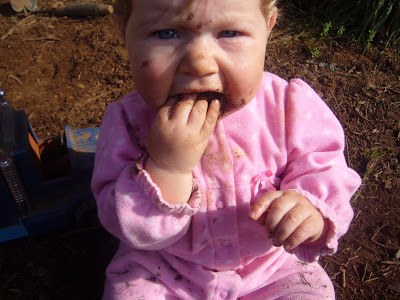 A ton of kids in our area have been getting that hand, foot and mouth disease where the child gets blisters on their hands and feet and in their mouths. My MIL said that there are a ton of kids at her school who have been out because of it, plus a good friend of mine who has a little girl that is 2 months younger than Layton is now just getting over it. I'm keeping a close eye on his feet and mouth (I guess that's where it first shows up.) I would be so thankful if it just turns out that Layton has the flu bug because a week of a sick boy with blisters everywhere does not sound like fun! Anyway, I took these pictures of Layton the other morning. 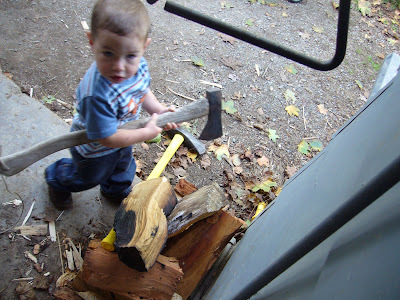 He absolutely loves to help build fires. He's such the little stud! Just thought I'd share. Here's a link to the new treasury I just created in T-West on Etsy. Take a moment to look at all of these beautiful quilts! They are all from quilting members of the street team I am on named, Quiltsy. 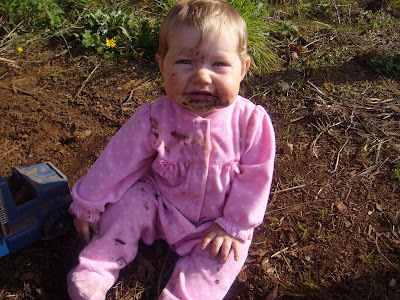 I know most folks who see a 7 mo old baby girl in the dirt like this may be slightly taken back but come on, she's an outdoor kid. 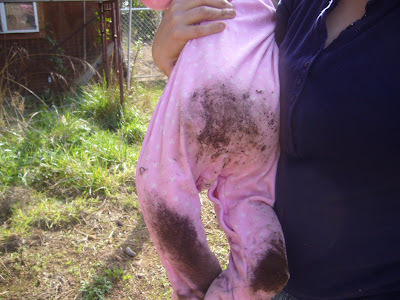 Plus, how is she ever gonna ride horses if she doesn't know how to get dirty? That's the first lesson! 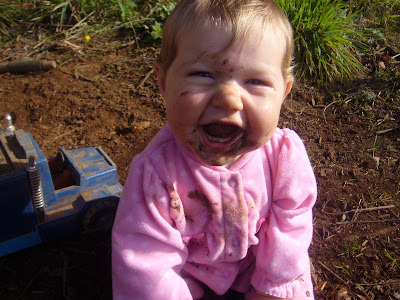 Now that's one happy baby! Welcome to week #2 of my Friday Night Feature! I have two terrific shops to share with you tonight! Our first shop this evening is Cherrypips. 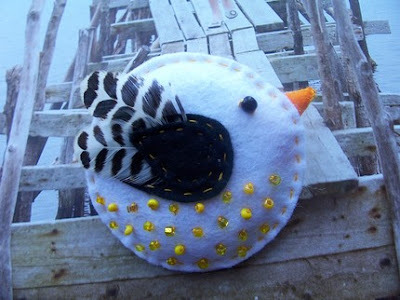 Nicola makes some of the cutest brooches I have ever seen! 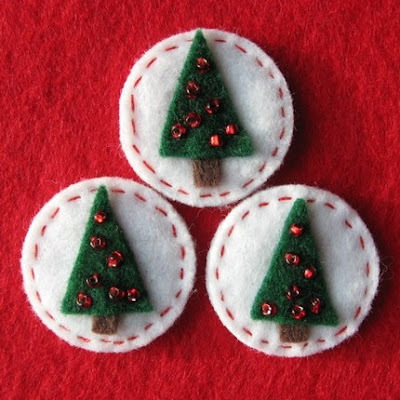 I have personally purchased one from her shop and can tell you that they are not only adorable but very well made! Here’s a little bit about Nicola, “I am based in Hull in East Yorkshire. I live in a big city but I am still close to open countryside, the Humber Estuary and the North Sea. 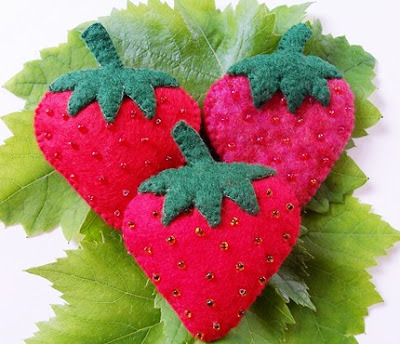 I have been making Cherrypips items for almost one year and love working with all my favorite materials: felt, woolly things, threads, paper, vintage haberdashery items, buttons and beads. Making Cherrypips items has given me a great excuse for searching out new items to add to my already over full craft cupboard! My favorite all time shop when I was a child was Coles Haberdashery which used to be on the High Street in Kings Langley, Hertfordshire. Sadly long gone! "Our house is bursting at the seams with all my collections, Hornsea Pottery, Scottie Dog items, vintage craft books, buttons, beads, old Christmas decorations and lots more besides. I love designs from the 60's and 70's, big daisies, bold colours. “I am more than happy to make special orders on commission, just get in touch if there is something you would like." Our second shop this evening is Craftyd's Creations. 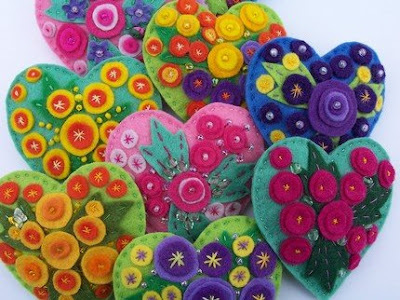 Dolores is one seriously talented crafter! Her shop is just bursting with a little bit of everything! Her shop announcement reads, "Welcome to my shop. 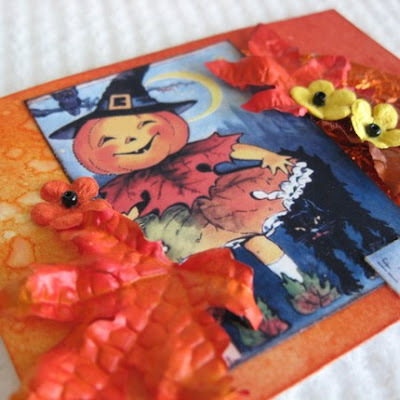 I will be having Greeting Cards, ACEO's, Tags, Felt Embellishments and an assortment of other things for sale in my shop. Be sure to check back often for new things." I have seen her work first hand and was so impressed with it! Her shop is one that I would always return to, not only for the high quality work that she does but for all of her friendly help and conversation! 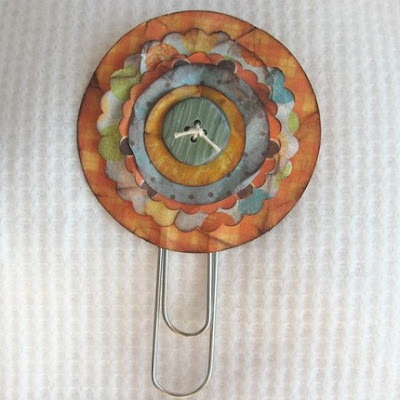 Dolores writes in her profile, "I have been crafting for many years and have made and sold many different things. Right now I love making greeting cards and have started making tags and ACEO's also. Thanks so much for sopping by to check out this week's shops! I hope that you enjoyed them. Remember, the photos that I share are just a sampling of what is available! Please take the time to stop by both of these fantastic Etsy shops to see everything that they have listed. See you next Friday Night! 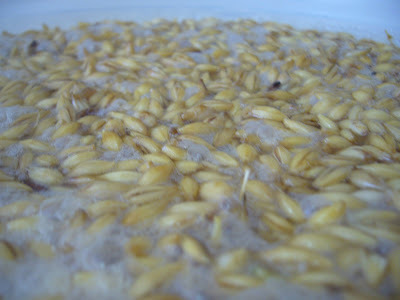 So along with fermenting bread I'm also soaking, or sprouting, barley! No, I'm not making beer, although I will say that the longer you let the barley soak, the more bubbly and sweeter smelling it gets! I almost smells good enough to drink. Well see how it all works out this winter with our limited sunlight and rainy days. I'm keeping my fingers crossed that it will help us get some eggs! A friend gave me a starter of Amish Friendship Bread about 2 months ago and I have been on a kick ever since to perfect the recipe and make it somewhat healthy! Well, as healthy as you can get for a dessert bread. 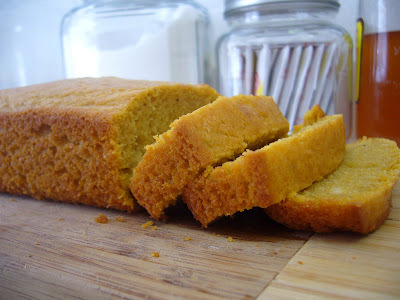 For those of you who aren't familiar with it, Amish Friendship bread is a fermented bread that goes through a 10 day "sitting" process before final ingredients are added and it is baked. Where the name came from, I'm not really sure because I highly doubt it has anything to do with the actual Amish community. One look at the recipe and it screams "modern day America", 1 cup of oil (eeewwwwwwww,) 1 lg box of instant vanilla pudding mix and more sugar than you could every imagine. Yep, sounds like something you'd see Sara Lee baking up. Anyhow, every time you bake a loaf you have starter left over. Some to share with friends and some to keep and start the whole fermenting process over again. So, every 10 days I have been tweaking the recipe and baking it to see how it turns out. 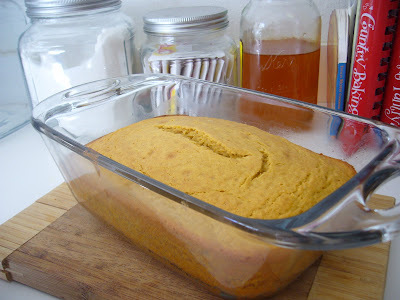 Over the past few loaves, I have totally omitted the oil, used butter, left the last part of the sugar out, added more vanilla, added less flour, left out the pudding mix and added pumpkin. I also always forgo the sugar and cinnamon coating on the outside. And it always seems to turn out perfectly!!! Now, I'd love to say that it is just my keen baking abilities that allow it to always be so good but I have to wonder, is it possible to mess this recipe up?? Apparently not. Just don't go asking me for the recipe, unless you want to hear, "Add some pumpkin, put in less flour, and only use a little sugar." If you're good with that kind of direction, then I can help. 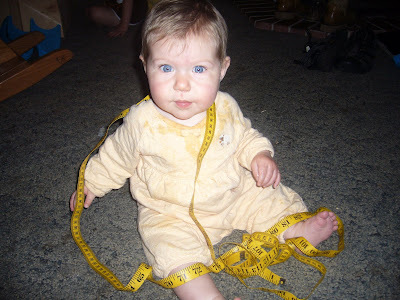 I don't really measure anything and that's about as specific as I get! But really, Layton could bake this stuff up and have it turn out great! A friend of mine gave me some of the pig lard she had made and I used it Sunday night for the first time. WOW- it was fantastic! I am so hooked on lard. Yes, I know that my Dad would argue, "But it's a saturated fat." All saturated fats are not bad though and I would MUCH rather cook with lard than with oil. Yuck- oil just gives me the creeps. Not to mention that at the right temperature it turns rancid. Uuuuuuugghh, I'm getting the heebie jeebies right now just thinking of it! This afternoon the same friend and I cut up 40lbs of local organic butter! 20lbs for each of our families. I so LOVE organic butter. My family goes through just over a pound a week, and when I'm baking it can easily be 2 lbs a week. So I know that 20 lbs may sound like a lot but it goes faster than you think. Here we go with two more previews! 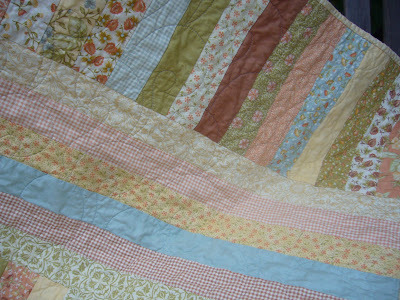 The first is a whole-cloth quilt that will be listed in my shop by this weekend. 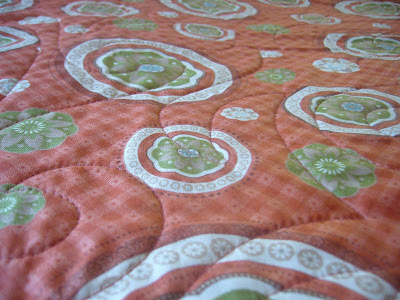 The fabric is from the Cotton Blossoms Collection from Moda. This fabric was so beautiful that I just could not imagine actually cutting it up! 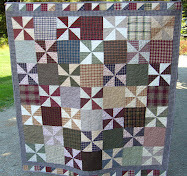 The shot below is the top view of the quilt; the back is just as beautiful! I used one of the floral prints from the collection backed in a fabulous blue. You'll have to check it out in my shop next week to see it for yourself. The second is just downright fun! Made from the It's Snowing! Collection from Moda. Great colors- fantastic for breaking slightly away from the traditional! I love it! I'll be doing a different sort of sale after my Fall Sale ends. Here's how it will work; November 5th 2008 is my 30th birthday. (Yikes!) To celebrate it, I will be giving a HUGE prize to one lucky customer that turns my "sale" number to 30!! I'm only 5 sales away from 30 so feel free to stalk my shop! :) I'll have the details listed in my shop announcement after this weekend. Hope that you all have a terrific day today! 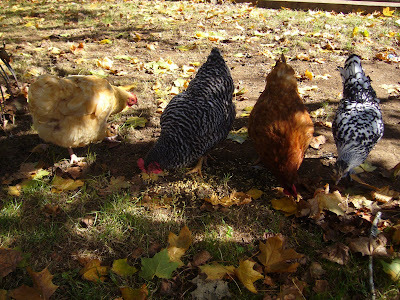 It is a GORGEOUS fall day here! Remember to look at the simple things today and be thankful. It's Coming..to a Computer Near You!! Why Haven't I Done This Before?